your network and maximize your productivity. Global TechForce specializes in IT support for small to mid-sized businesses. We have over 17 years of experience helping setup and maintain company networks. We will work with your company to provide you with the best support to help optimize your network and maximize your productivity. Already have a computer tech on staff but need some advanced support? No problem, we can work with your IT staff to help troubleshoot and fix any problems. Can’t afford to hire a computer tech full time? That’s no problem either. We can be your IT firm to deliver fast support whenever you need it. Our experience will not only fix problems that occur but also prevent future problems from happening. You can’t afford not to use our IT support services. Managed services helps keep your business free from computer issues. Let us demonstrate how wecan prevent computer problems that will save your business money. Our Small Business Server Experts can help setup and support SBS for your small business or home office. Contact an Engineer today! With over 200 Exchange Server installs and repairs in the last 3 years, Global TechForce has become one of the leaders in Exchange Server Support. Come find out why everyone turns to us for help! We are a Full Service IT Provider. We provide a wide range of services including: Technical Support, Managed Services, Web Design and Hosting, SEO and Social Media Marketing, Voice over IP and everything else under the IT rainbow! Best option to get expert support right away! No need for someone to come onto your premises to fix something that can be done remotely from the internet. We can fix your problems before or after work, freeing up your schedule. When you offer World Class Enterprise Support, you tend to get a wide variety of clients. Our clients range from Fortune 500 all the way down to small businesses with 5 users. We can accommodate your business no matter the size! You are so awesome, and great to work with. Thank you so much for being available, quick and most important – very knowledgeable. 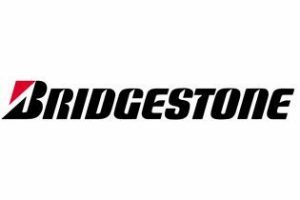 I can’t thank you enough for the superior work you have done for Bridgestone Aircraft Tire. I came to Global TechForce (formerly Fast Support Online) with a small .net issue we were having. Now they fully support our Windows Server, SQL Server and 10 workstations. Their daily monitoring service has prevented us from having issues and the backup reports we get are a great piece of mind. I recommend their IT services to any business small or large. Global TechForce helped get MS Exchange up and running by Monday AM on a Sunday evening support call. Their MCSE answered all our questions, resolved all our problems, and stayed with us until we were happy. Call us and speak to a live US-based engineer at 954-678-2600 or click on the button. Global TechForce offers IT support by certified network engineers. Over the past 5 years, Global TechForce has assisted businesses and IT companies by providing the best support in the IT industry. Our engineers will connect to your equipment remotely to fix your issues instantly. We're passionate about helping businesses improve their IT department by providing cutting edge technology ideas! Is your Business Critical Data Backed Up and Secure?